Wittenborg's main campus is situated in the municipality of Apeldoorn, in the centre of the Netherlands. Apeldoorn is the 11th largest town in the Netherlands, and is a remarkably green, clean and safe city to study in! The blue skies ooze ‘health’ and Wittenborg students enjoy 'the gentle lifestyle', whilst only being an hour on the train or by car from the Dutch capital Amsterdam, or the German border to the east. Schiphol airport also only an hour away. Wittenborg has been supported by the Apeldoorn Municipal Government and the Province of Gelderland, who have made it possible for the institute to settle and grow its international profile in the city. 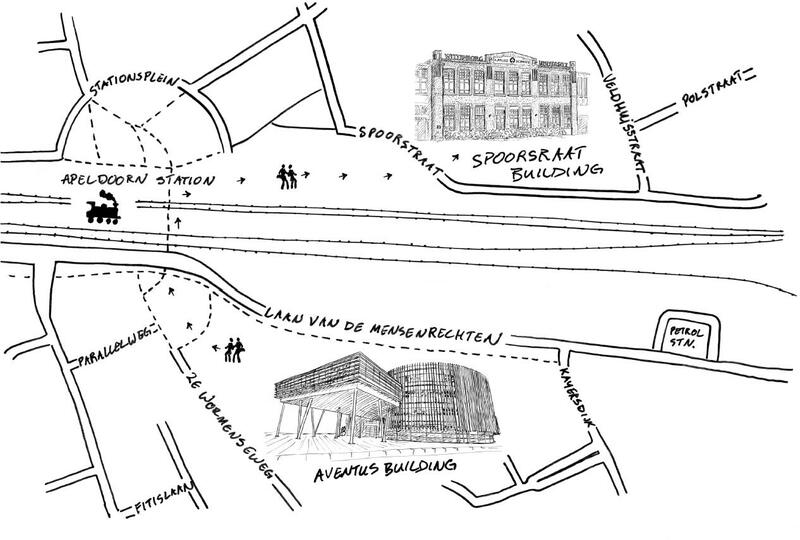 The Wittenborg campus is spread to the north and the south of the central train station, in two buildings known as the Aventus Building and the Spoorstraat building.